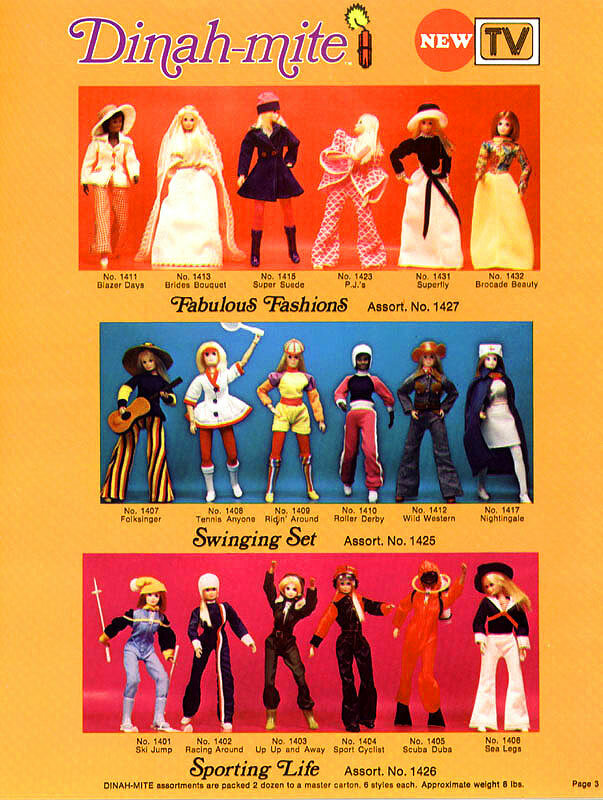 Dinah-Mite's Outfits are a $1.98 vision of early 70's pop-feminism. She does roller-derby, horse-racing, skydiving, Florence Nightingale, and can handle herself in a Gene Kelly sailor suit. The bridal outfit is the only one that looks out of place. Take a look at boyfriend Don. Handsome and groovy, but obviously not marriage material for this gal-on-the-go.